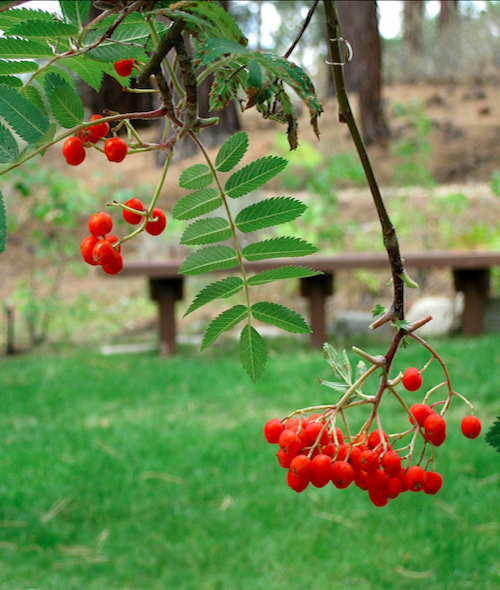 Come learn, enjoy and contribute to our beautiful Lake Tahoe demonstration gardens. These demonstration gardens illustrate successful, environmentally-friendly landscaping techniques and provide a venue for community inspiration and education. 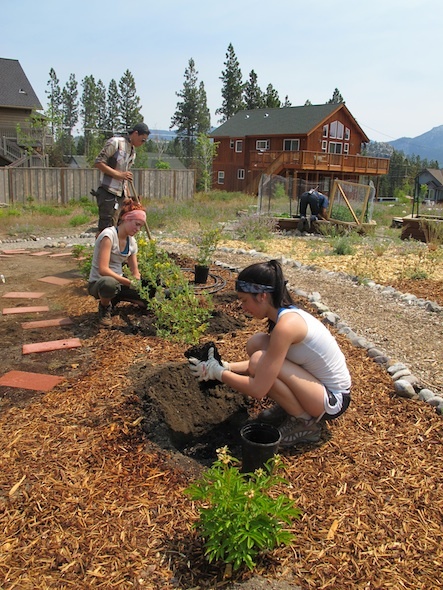 The Lake Tahoe and Angora Community/Evans Family Gardens continue to expand and are maintained through generous donations, volunteer efforts and agency partner collaboration. The Angora Community Demonstration Garden is located at 1383 Mt. Olympia Circle in South Lake Tahoe. Use of this property was granted to the Tahoe RCD by the Evans family after the Angora Fire for the development of a garden, in place of their former home, where the community would learn and enjoy the beauty of their Tahoe native plants and environment. Under the direction of the Tahoe RCD, hard-working volunteers and generous donors have been responsible for the development and maintenance of this project. Prior to 1990, this seven acre site near Trout Creek and its meadow was severely disturbed from human activity. Its bare and eroding, compacted soils were actively contributing to the decline of water quality in the creek and to the loss of lake clarity. Now it is a thriving, functional landscape where community members, students and visitors can enjoy and learn about Tahoe’s unique environment.